We recently hung an exciting new product in our Chantilly showroom that I wanted to show you. I'd never seen anything like it! It's an air-ionizing Fan D'lier by Savoy House. 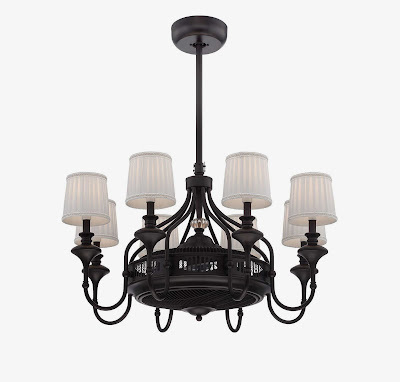 So it is a chandelier with 8 candelabra-base 13-watt compact fluorescent lamps with a ceiling fan built into the middle. It will remove smoke, molds, and fungi from the air. It reduces breathing irritation due to inhaling indoor pollutants. They say it increases the flow of oxygen to the brain resulting in higher alertness, decreased drowsiness, and increased mental energy. They go on to say it helps in alleviating depression, relieving stress, and increasing serotonin levels. Wow! 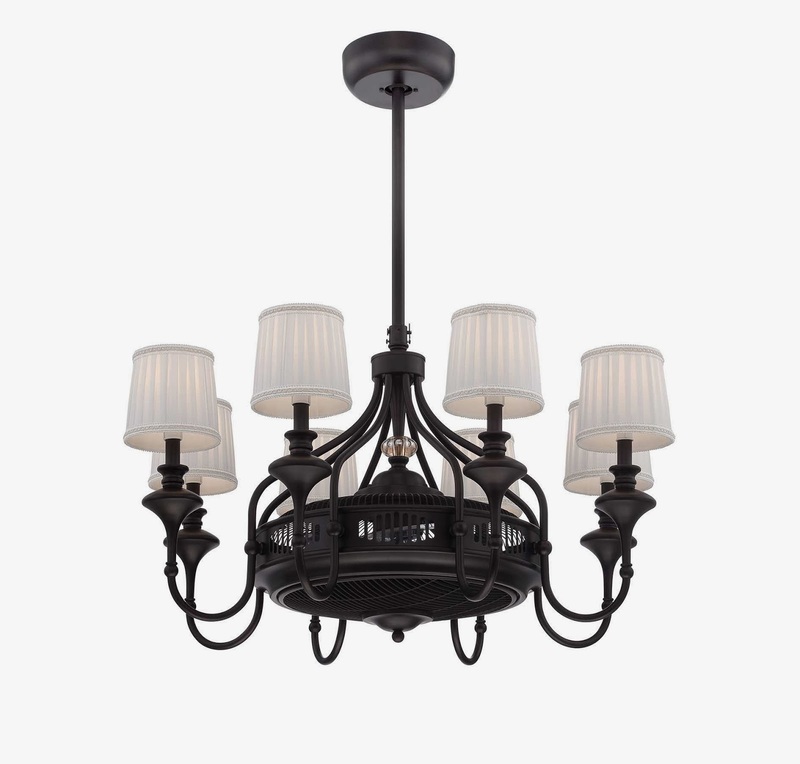 It's available in at least 5 different styles, but the one pictured here is the one we have in stock and on display in our Chantilly, VA showroom. This one is called "Brisa" in an English Bronze finish. It's 24.75" wide by 39" high, and it comes with a remote control. You won't believe how powerful the little fan is!